1) Safety – We have four (4) different security measures in place to make sure that your child's experience is as safe and carefree as possible. 2) Biblical Accuracy – We strive to have everything we teach and do be grounded in a Biblical Worldview. We believe the Bible is entirely true. 3) Fun – We know that for a child to want to come, the experience must be fun! We have included energetic wee worship, personal instruction, friendly leaders and creative recreation! We even make great use of an outdoor playground and our one-of-a-kind five level indoor playground! At Sherwood, preschoolers will learn about God, themselves and the world around them through planned Bible-learning activity centers. Our goal is that our preschoolers will come to know that God made them, He loves them, and He wants to be their Forever Friend. We see our preschool ministry as the place where these incredibly important foundations are laid. It is for this reason, when you visit our preschool, you will see giant oak trees and pine trees along the walls. The trees are symbols of what we want our children to grow up to be. You will also notice six giant murals of familiar Bible stories. These murals tell the Gospel story from Creation to the Resurrection! When you visit, take time to walk the hallway and read to your child the Gospel story. It will be a great family moment for you! Our nursery and preschool ministry is located on the first floor of the Joy building. Enter through the front doors closest to the water fountain and stay to the right. One of our friendly greeters will be happy to help you find our Welcome desk. First-time guests are encouraged to stop by the Welcome desk in the check-in area to receive their security badges. For security reasons, no parent or child will be allowed down the classroom hallway without a security badge. See you soon! Sunday, 9:30 a.m. / 11 a.m.
During our 9:30 a.m., 11 a.m. and 6 p.m. worship services each Sunday, we offer safe, fun and exciting care for preschool children (infants - kindergarten). Parents of preschoolers and other adult volunteers provide this ministry. All adults must have approved background checks. Contact Mark Scardino for more information. AWANA Cubbies for 3 and 4 year olds meet on Wednesday evenings and enjoy a fun-filled night of learning Bible verses and participating in team games. The heart of AWANA is the gospel message. AWANA strongly emphasizes memorizing and understanding Scripture while offering games and a variety of Bible related activities. AWANA Cubbies meet August through May, ending with a ceremony for Cubbies and parents. Wonderful Wednesday activities are planned for the summer. 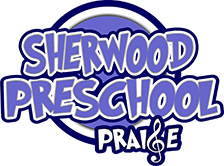 - Sherwood Preschool Praise is for preschoolers, ages 3 years – K-5, and is a part of the preschool music ministry during the school year. Beginnings is a time honored tradition and special moment in the life of Sherwood families. Participants must be Sherwood Bible Study members who desire to become church members or those who are church members. Click on the button for additional information. For more information about the Preschool Ministry, please contact the Children’s Ministry Office at 229.883.1910 x1211.